Contest #13 Answer – Where On Google Earth? I was surprised at how easy this one was. i thought it would be bit more difficult because the two iconic things in the skyline were hard to see. The answer is Rio de Janeiro, Brazil. In the photo you can see the two famous beaches of Ipanema (made famous by the song “The Girl From Ipanema”) and Copacabana (kinda of sort of made popular by Barry Manalow). 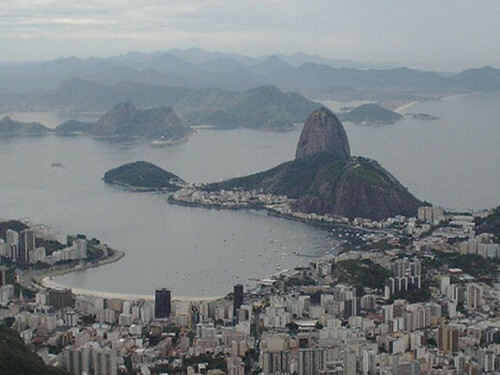 The two prominent skyline features are Sugar Loaf and the statue of Christ the Redeemer. 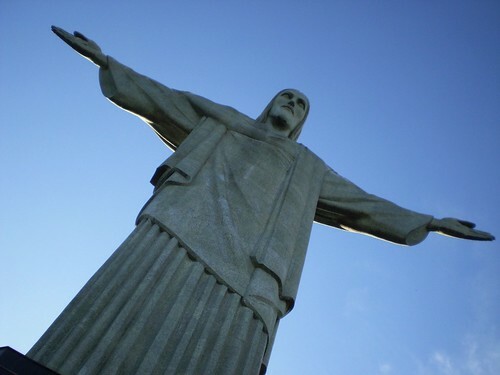 Christ the Redeemer was chosen by the New Seven Wonders group as one of the New Seven Wonders of the world, and probably the least deserving in my mind. I think you at least have to be around for a century before you can get that sort of status. thanks to post my pic!! this beach is not copacabana and ipanema! !